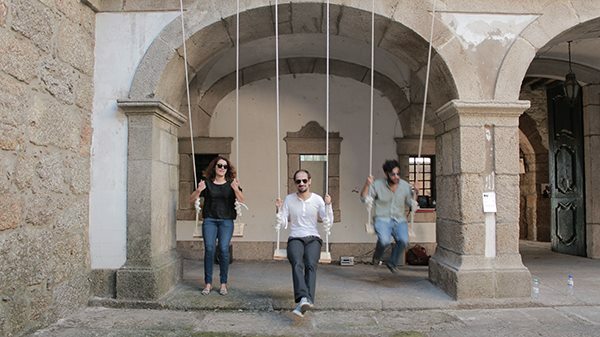 A temporary sound installation has been set up by multidisciplinary studio Elas Duas at the Convento das Dominicas in the city of Guimarães, Portugal. 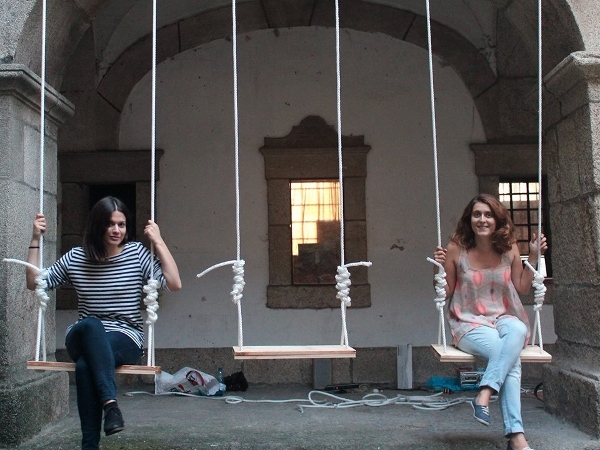 ‘Baloica’ features simple swing-sets made from wood planks and rope. 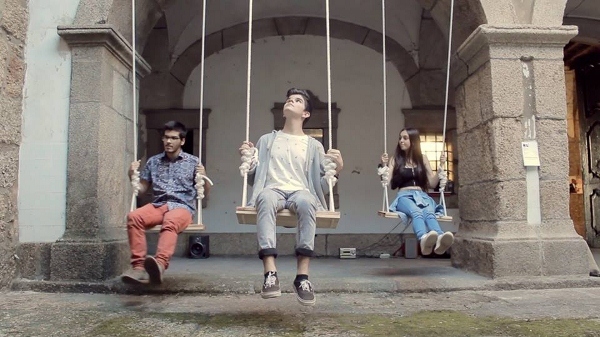 The swings are attached to a sound mechanism that plays random musical notes when the swings are set in motion. Watch visitors interact with the installation in the video below.